Now that Marianna is getting older I'm constantly on the lookout for interesting - yet low cost! - stuff for her. It was during one of these internet sweeps that I came across the Pony Tails Club. Because, as Jane Austen would probably have observed if she hadn't changed her mind about Harris Bigg-Wither, it is a truth universally acknowledged that girls under the age of ten are obsessed with horses. The club is the junior branch of World Horse Welfare, an organisation which works to stamp out equine suffering worldwide. 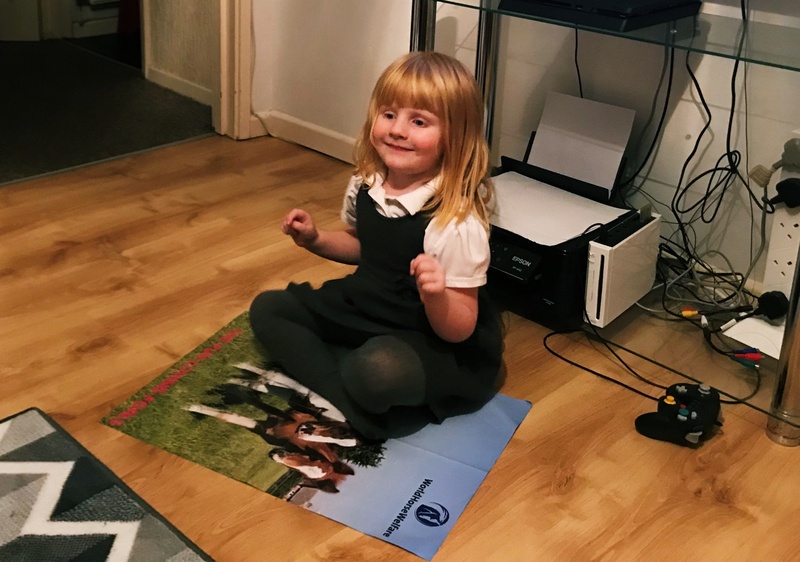 As a member of the club children are encouraged to be kind to horses and help fundraise for the charity. The welcome pack comes with a saving box to colour in and build, and a sheet of fundraising ideas ranging from sending in used stamps to hosting a hula hoop contest with friends. 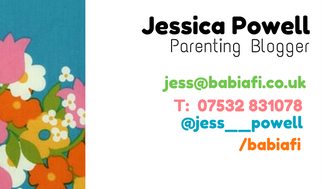 I really liked how achievable the ideas are for children; e.g. the website suggests a little fundraising party with 10 friends could raise £5 - enough to feed 5 horses for a day. When children send in money they've raised they get a personalised certificate and a stamp in their passport, which is a really sweet touch. 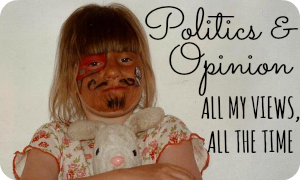 It's not all about fundraising though! 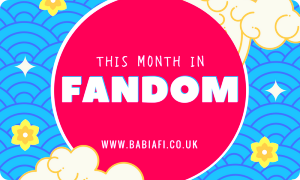 Club membership also means a little magazine sent twice a year with competitions, puzzles, and plenty of photos of cute ponies. 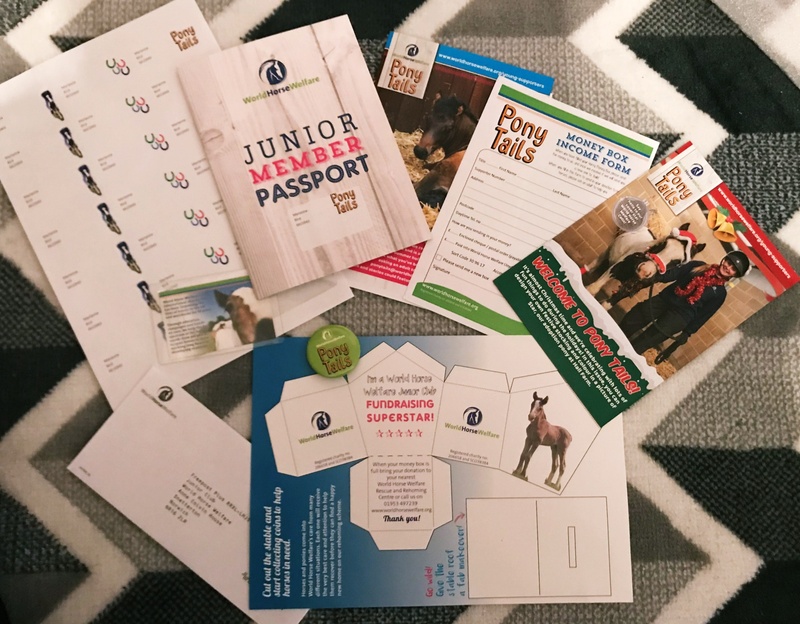 Other goodies include a membership card, badge, stickers, and a passport for filling in details of horsey visits and activities. 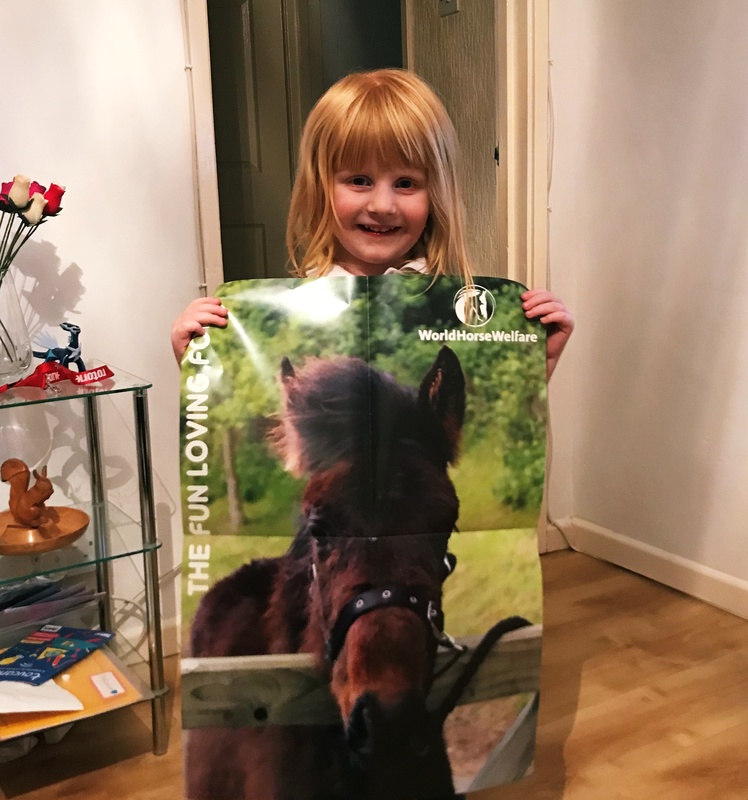 Marianna was so excited to get her own post, and was positively overjoyed to find the large double sided pony poster. 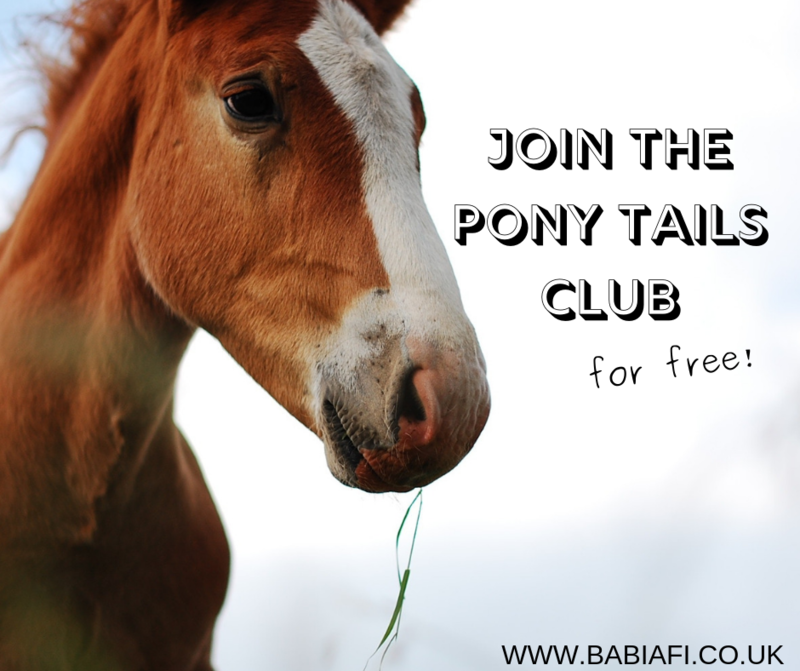 To sign your own child up fill out the online form or email ponytails@worldhorsewelfare.org.